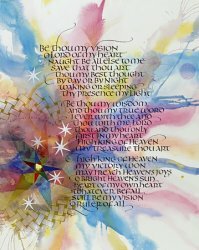 Be Thou my Vision, O Lord of my heart; Naught be all else to me, save that Thou art. Thou my best Thought, by day or by night, Waking or sleeping, Thy presence my light. 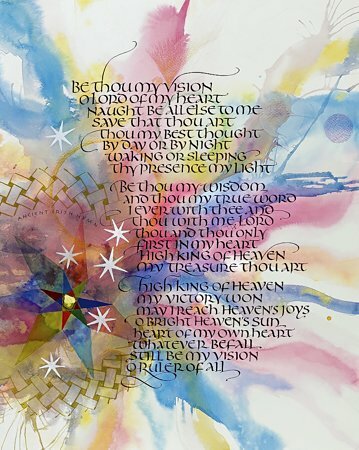 High King of Heaven, my victory won, May I reach Heaven's joys, O bright Heaven's Sun! Heart of my own heart, whatever befall, Still be my Vision, O Ruler of all.